I love using props in my VIPKid classroom. However, the downside to many props is the need for ample storage and a way to manage them all. If you have unlimited space, this isn’t a problem. But, if you’re like me and don’t have much space, you have to get creative. I will admit it…I’m an organizing junkie. I’ve spent many hours organizing and reorganizing my props in an effort to find the most effective solutions to maximize the space I have. 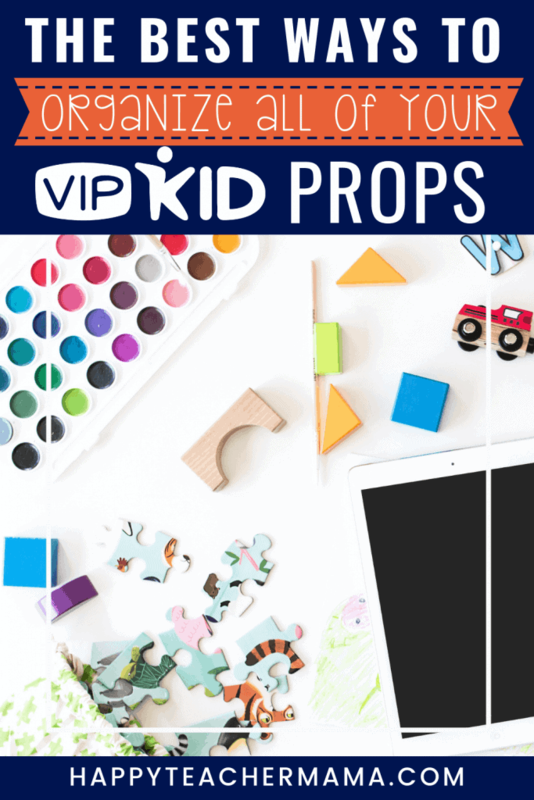 And because I really enjoy hearing about what VIPKid organization works (and doesn’t work) for others, I decided to share 3 of the best solutions I’ve found for managing the prop chaos! This post contains affiliate links. For more information, please see my disclosures. I had plastic animals, Legos, stuffed animals, etc. that were in constant rotation. But, as I started teaching more classes from Level 1-5, I began accumulating more “stuff.” I was constantly in search of this thing or that thing to show my students. Then, once I had the object I needed, I figured I would just keep it in with my props so I would have it for the next time I taught that lesson. Unfortunately, it wasn’t long until I was running out of storage space and I didn’t have a fraction of the “things” I needed to teach my lessons. So, I knew I needed to come up with an alternative to minimize the amount of space my props took up. I started my search by checking out different VIPKID classroom ideas, and that’s when I discovered Jennifer Anderson’s YouTube channel. She shared all of her tips and tricks for storing and utilizing her 2D props, and that’s when I started thinking more seriously about using 2D props. However, I wasn’t really sure. I thought maybe I still needed the shark toy (that is as long as my arm) and the elephant (that’s the size of a dinner plate). But, it wasn’t long before I was using 2D props exclusively. Honestly, from the first time I used them, I was hooked. I could keep them organized easily, and I could store the props I needed for 6 classes in a row in a space the size of a sheet of paper. They made my organizing and prepping so simple, and since each one is no thicker than a piece of paper, they’ve been ideal for use when traveling. These are the 2D props that I use in my VIPKid classroom. I organize my props by theme in accordion files. They are 10” long and 5” tall, and I found them in the $3.00 section of Target about 5 years ago. They are the absolute perfect size for my props. I write the theme, or category, on the tab and then put all of the props associated with that theme in that section. Some teachers like to have their props organized by specific levels, units, and lessons, but I’ve found that to be too time-consuming for me. While I completely understand that approach, I like to give myself some liberty to put them in groupings or themes that make sense to me. For example, I have a clothing section in one of my accordion files that holds all of the seasonal clothing and seasons props. Because I’ve taught these lessons before, I know that when I need access to the clothing, I’ll need the 4 seasons, too. So, I keep all of those together. The nice thing about organizing props this way is that I always know where my props are no matter what level I am teaching. I can use the same farm animals in levels 2, 3, and 4 without the need to store 3 horses, 3 pigs, and 3 chickens. This also gives me freedom to pick and choose other related props for extension. Without a doubt, the absolute easiest storage solution for my daily class props has been clear dry erase pockets. I have 6 that I use each day. Before I prepare for my morning classes, I write the name of each student and the time I will be teaching that child at the top of the pocket with a black dry erase marker. Then as I review the PowerPoints, I pull any relevant 2D props that I’ll need for that class from my accordion file and simply slide them into the pocket. That’s it!! During the class, I pull out the props and write any notes or reminders for feedback on the outside of the pocket. Then, when I’m finished and ready to write feedback, I have my notes available. As soon as feedback is sent, I erase the pocket and prepare for the next day. removed my need for paper and saved many trees in the process. perform double duty by being the storage for my props and the place where I write my notes. take up so little space that I don’t even notice them. The pockets that I have are rainbow colored. So, my first class is red, second is orange, third is yellow, fourth is green, fifth is blue, and sixth is red. (I only have five colors.) By keeping the pockets in order, I know which class I’m on and which one is coming next simply by glancing at the color. Remember, you don’t have to do things just like me or anyone else for that matter. You just need to do what works for you and your teaching style. However, I hope you’ve gotten a few ideas or helpful hints to make organizing your VIPKid classroom props a little more efficient. Do you have another organizing tip? I’d love to hear it! Just comment below with some of your favorite prop organizing hacks! I am much like you..although a few 3-D hang around the edges of my classroom. I discovered Jennifer Anderson in my first month and have not looked back from using 2-D. It saves so much space and prepping time. I also organized by theme and not levels. Except for Level 1. Iwas teaching a lot of Level 1 in the beginning and it just made it easier to reach into that country for rewards and children. I am going to look into the dry erase files. I have been keeping quick class notes and prep on index cards. Great blog! I just signed my contract today with VIPKID. I love your idea using the dry eraser pockets. That seems like it going to be a life saver! Thank you!!! Where do you get the 2D props? This seems like a good way to go. So, do you not use magnets on the back of each like Jennifer Anderson? Do you just hold them up to the camera? I would love to hear a bit more about how you use them and if you use any magnets on your background. Thanks! New VIPKID teacher here. Just wondering, do these 2-d prop bundles still match the newest slides? Quick question. What do you do if you need a prop for multiple lessons? I, like you, use 2-D props and love the idea of organizing by theme instead of level. I’ve just started teaching and haven’t had any back to back classes yet so using the same prop from a previous lesson hasn’t been an issue but do you notate somewhere that you need a prop from a prior lesson if you only have one of each. I’m all for saving money, time and space so not having duplicates is perfect. Thanks for your tips! I LOVE the idea of the dry erase sleeves! And I’m going to start looking into Jennifer Anderson’s page! Quick question: Did you print out all of the 2D props or just the ones you felt like were the most common. I don’t know if I want 500 2D props to have to store. Any suggestions? Thank you so much for this blog of incredible tips! I love and NEED to be organized but am not that great at creating organizational systems myself. 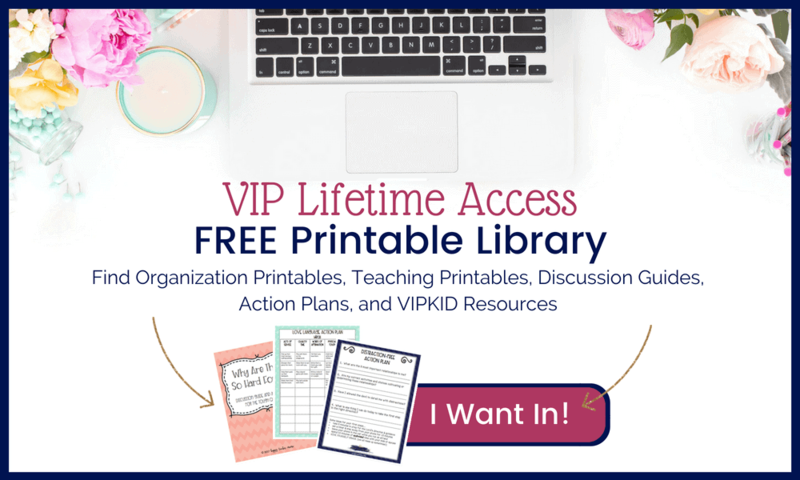 This is exactly what I needed and between you and Jennifer Anderson I’m going to be ready to fill up my VIPKID schedule to the brim :).